Roaring Brook Press, 9781626721371, 32pp. This is my favorite cloud. . .because it's the one I am watching. This is my favorite tree. . .because it's the one where I'm swinging. This is my favorite tooth. . .because it's the one that is missing. 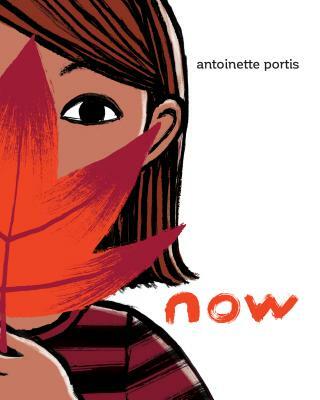 Follow a little girl as she takes you on a tour through all of her favorite things, from the holes she digs to the hugs she gives in Now, a clever and poignant picture book by award-winning artist Antoinette Portis. FIVE STARRED REVIEWS FOR NOW!